In the summer of 2014, colleagues from Faculty of Social Sciences and Gallant Ho Experiential Learning Centre (GHELC) made a trip to Bolaven plateau of Laos to explore experiential learning opportunities in a coffee farm. 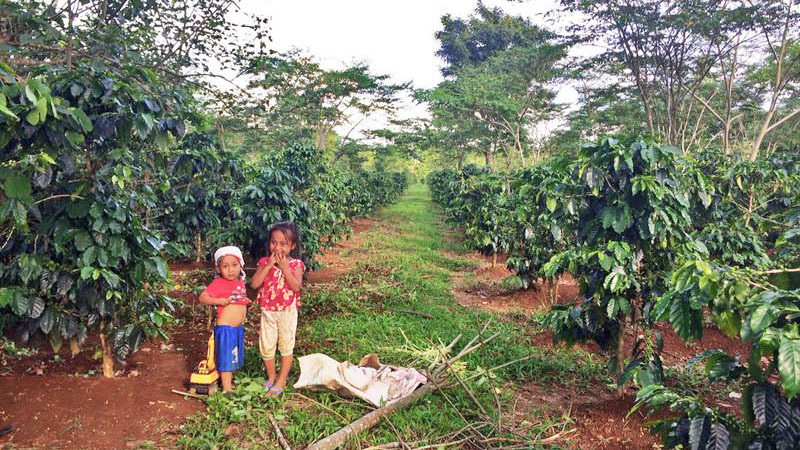 Children in the coffee farm. Bolaven Farm, established in 2008, defines itself as a privately owned and beyond fair trade organic farming business. It aims for a sustainable model that builds and manages the entire supply chain for premium coffee. The company’s social mission is to directly engage in the supply chain as coffee growers, quality driven miller and dedicated retailer. The 167 hectare (400 acre) organic coffee farm, located in 80 kilometers (50 miles) east of Pakse Province, Laos, provides a valuable training ground for Lao farmers. That includes a 2-year resident farmers program to build the skills and capacity of the local farmers and then ensure a fair price for what they produce. In addition to wage, housing, meals and partial medical financial assistance will be provided for the whole family. Upon graduation, farmers will be qualified for a loan to establish a 7- acre family farm or graduate to become their contract farmers. 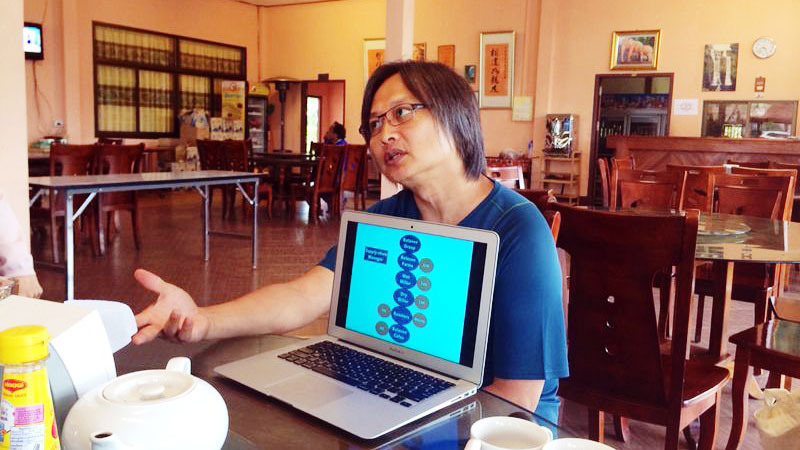 The vision of Sam Say, the CEO of Bolaven farm, is “beyond fair trade and charity”. His dream is to turn the resident farmers in Bolaven into proud land owners with productive family farms. He believes that what the poor want is not aid, but real jobs, the equal basis for human beings’ dignity and self-reliance. Sam Say fled his homeland as a Laotian’s refugee in 1977 to Canada and eventually settled in Hong Kong as a steel trader. He was shocked by the level of poverty in Laos during a brief visit in his homeland in 2004 . He believes that there is so much potential yet to be utilized in this country and the farmers were not provided with economic opportunities due to lack of market access. 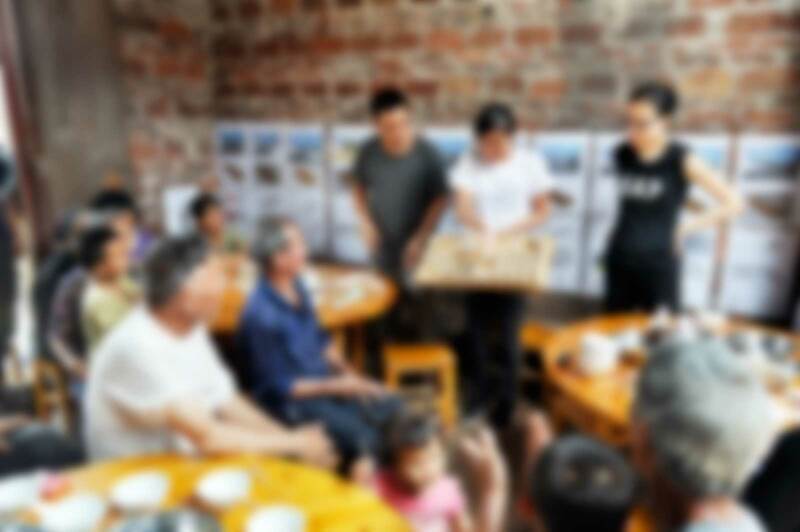 Sam Say introducing the business model: “beyond fair trade” to the HKU visitors in the bolaven plateau, Laos. However, it wasn’t as easy as he initially thought. As in every agricultural business, it takes a rather long time to see the economic benefits. And in this case, it was five years before Bolaven Farms harvested its first crop of Arabica beans. Also, the farmers were skeptical of his initiative at the beginning – they thought it was too good to be true. 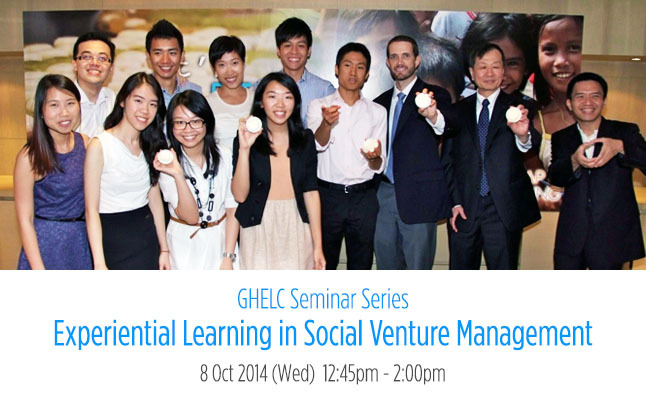 GHELC believes this special operational model and Sam Say’s vision are good learning opportunities for students at HKU. We are glad that the farm also shares a heart for young people’s learning about Laos and social business, and is open to cooperate with the University of Hong Kong. 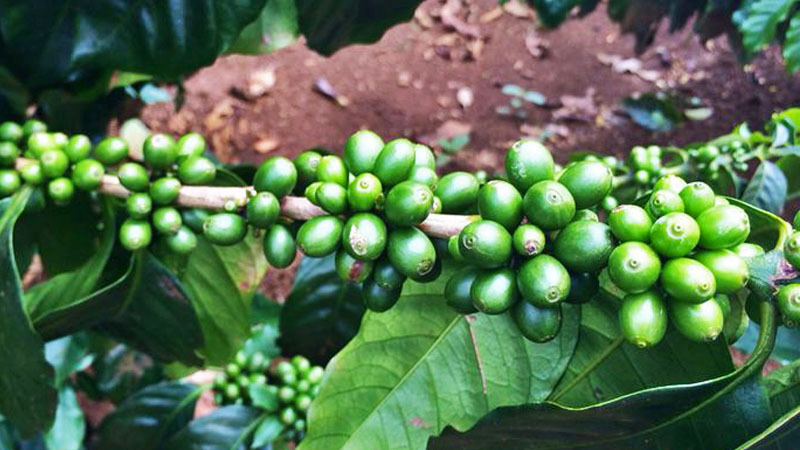 As one of the experiential learning opportunities, our Centre is now working together with the Faculty of Social Sciences to document this business model of “beyond fair trade”, the history of Bolaven coffee and the farmers’ life-changing stories. Eventually, our students will, base on what they have learnt, design a cultural tour guide book for the Bolaven farm to promote the Bolaven’s coffee culture to the world. Other experiential learning opportunities identified in the trip included the opportunities to work with the small children in the farm. The farm also welcomes small construction projects with local farmers on organic farming or energy saving devices. Chemical analysis of different coffee beans for testing and comparison is also in demand. Faculty members who are interested to learn more about these opportunities are welcome to contact our Centre for further information. The Experiential Learning Fund supports Faculties in introducing, expanding or enhancing experiential learning in their undergraduate curriculum. 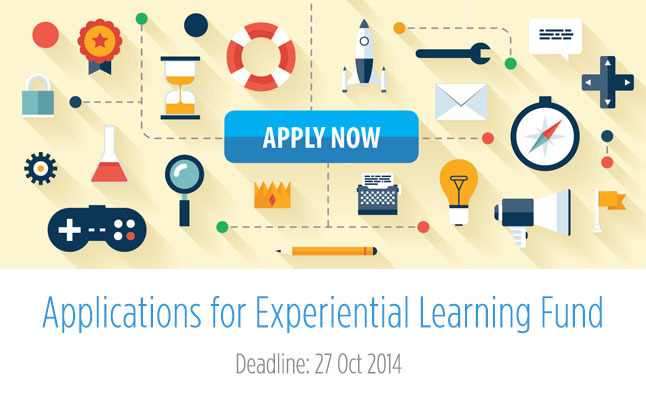 The deadline for the first round of application is 27 October 2014. This round of application is for experiential learning projects to take place in the Second Semester and Summer, 2014-15. HKU has recently signed an agreement with International SOS to provide worldwide emergency support services to all HKU staff and students. Please do come and know more about how the International SOS could help with your trip planning. Social Venture Management Internship (BUSI2812), a 6-credit course offered by the Faculty of Business and Economics, provides leadership opportunities for students in socially minded companies. In this seminar you will hear from the course instructor, business leaders, and the students themselves concerning what they have learned along the way. GHELC organizes workshops to equip students with necessary skills and knowledge to take full advantage of experiential learning opportunities in unfamiliar environment. Let’s equip yourselves at the Project Preparation Series!